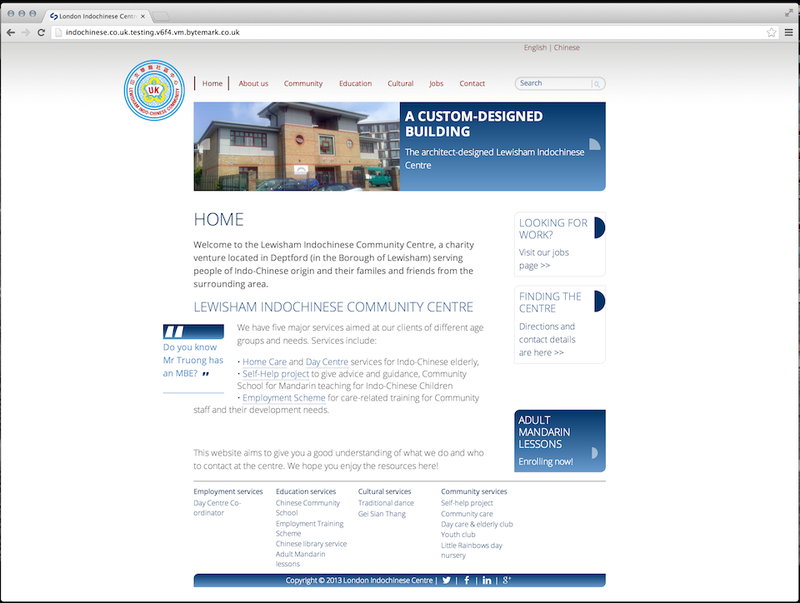 A site for a charity centre providing services to London’s Indochinese community. 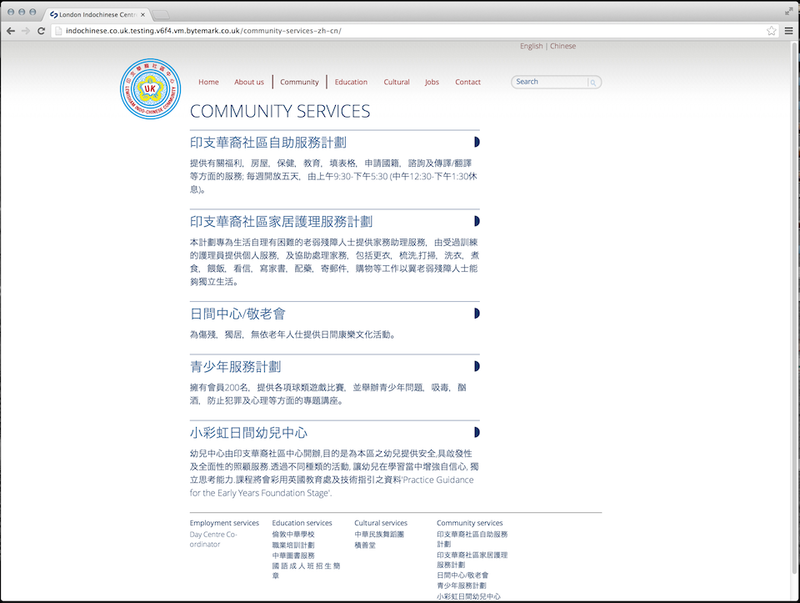 A principal requirement was for multiple languages (English and Chinese) with an easy toggle between the two. Images and video are shared between the two parallel versions.